Valve announced today that part one of its big news trio is SteamOS, a free operating system “designed for TV and the living room“. 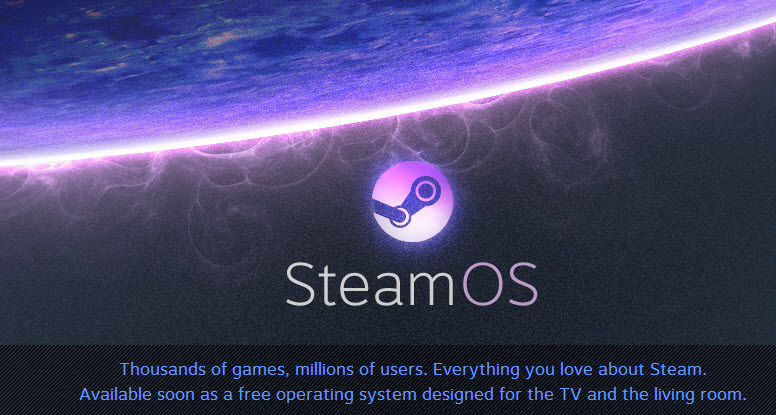 As the first reveal of the plan to enhance Steam in 2014, the OS appears to be Linux-based and engineered for “any living room machine”. Valve touts major steps in graphic processing already, and now aims to augment audio while reducing input latency. Valve claims that SteamOS will encourage collaboration between creators and customers in the spirit of innovation. In-home Streaming – SteamOS machines will be geared to play nice with both Windows and Mac games. 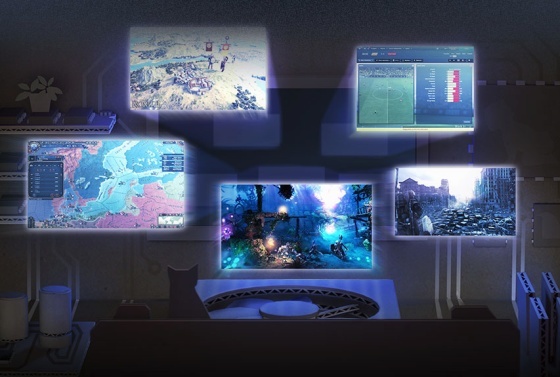 By starting up Steam on your computer, the SteamOS will do all the handshaking required to run both platforms of games, streaming them to your television. Finding out where you stand with brand allegiance, on the other hand, is still your own iResponsibility. Music, TV, Movies – ??? “We’re working with many of the media services you know and love. Soon we will begin bringing them online, allowing you to access your favorite music and video with Steam and SteamOS.” Valve probably won’t kill the radio star. Family Sharing – Currently in beta process, the family sharing aspect will let friends and family play your games and forge their own progress in them (and save to the cloud) when you’re taking a break, and vice versa. If the details from the beta remain when the OS kicks off, if you start playing a game while a member on a designated shared device is enjoying the same program, they will have a few minutes to purchase the game before they are disconnected (until you sign off again, of course). The next reveal goes live in 37.5 hours, so that’s plenty of time to get popcorn and come right back. Or go to work or school. Or just keep playing on Steam. ← Game Console Code Names. niche. Your blpog provided us useful information to work on. of a user in his/her mind thaqt how a user can be aware of it. Thus that’s why thiis article is perfect. Thanks!